Autodesk will be holding a webcast in about an hour (http://autode.sk/webcast) to announce the launch of their 2014 family of products, including Autodesk Revit. But some of the details are already out, and the product pages have been updated, so…let’s talk new software! I wasn’t in the beta program this year, so I found out about the new features the regular way…through Twitter. My lack of advance knowledge means I didn’t have a post loaded and ready to go for today. But I’ve read enough to identify three quick favorite new features, all in the small-but-significant category. Non-rectangular view crops & callouts. This one will solve a problem that literally came up yesterday. Temporary view settings. I love view templates, and loved that they were made “sticky” in Revit 2013. But they can be annoying too, if you just need to see something briefly and turn it off again. Sounds like that annoyance is gone now. Multiple Bring-to-front/Send-to-back. Another annoyance removed. Now you can select multiple detail elements and change their view order, instead of working with one at a time. I’m sure I’ll have more to say once I actually get the new version loaded on my machine. But if you’d like to read more today, David Light has excellent in-depth coverage, or you can visit the official Revit home page. Here’s a link straight to the structural new features. When you’re modeling structural framing in Revit, you often can just assign it to a level or reference plane to set its elevation. But sometimes you need to move a beam up or down — maybe to accommodate a slab step, architectural element, or other framing condition. There are (at least) two ways to achieve the above image. The first is with the z-Direction Justification and Offset. If you change Justification to “other”, you can then specify a single value to offset the beam up or down. 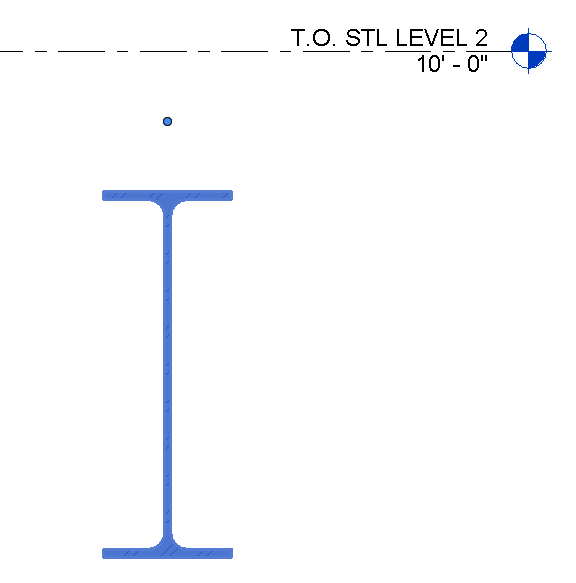 The second is with the Start and End Level Offsets. You can use these to give the two ends of the beam different elevations. The analytical line for a beam adjusted in the z-Direction stays put on the original reference level or work plane. This might be what you want to have happen, if you’re going to be exporting your analytical model to a program like RISA, or it might not. You’ll have to decide. You can only set one value, so it’s no good for sloped beams. The z-Direction is relative to the beam, not the project. This means that if you have a beam with a rotated cross section, z-Direction offsets might not give you the result you’re looking for. With this method, the analytical line follows your beam. Again, this may or may not create the desired effect with your analysis software. Each end can have a different offset, so you can create sloped framing. HOWEVER, setting a start or end level offset AUTOMATICALLY detaches your framing from its work plane, and as far as I know you can’t get it back, even if the effect of the offsets keeps your framing parallel to its original plane. You can actually use both methods at the same time for even more control over the location of your framing. Here’s the beam above with Start, End, AND z-Direction offsets. Okay, some of you might laugh at this tip, it’s so simple. But it took me a little while to figure it out, and I saw somebody else get tripped up by it just last night, so I know it’s not just me. The Revit Properties palette is only active while your cursor is over it. Simple, right? But this happened several times a day until I caught on: Select an object to modify. Click on a field in Properties. Move the mouse out of the way. Press Delete to erase the current value. Realize the object disappeared instead. Mutter at the screen. Undo. Repeat. The explanation for this is that Revit tracks the position of your cursor to determine whether the Properties palette is active. Moving the cursor off the palette has the same effect as clicking Apply — sometimes it’s even faster than using Apply. For me, this falls under the category of “small but significant” features: easy to explain and use, but no less valuable for their simplicity. I’m sure there will be plenty more of these features in posts to come!